It's favourites time again, another month has passed and it feels like we really are fast tracking this year and it will soon be over. So anyway here are a few things I have been enjoying in September. 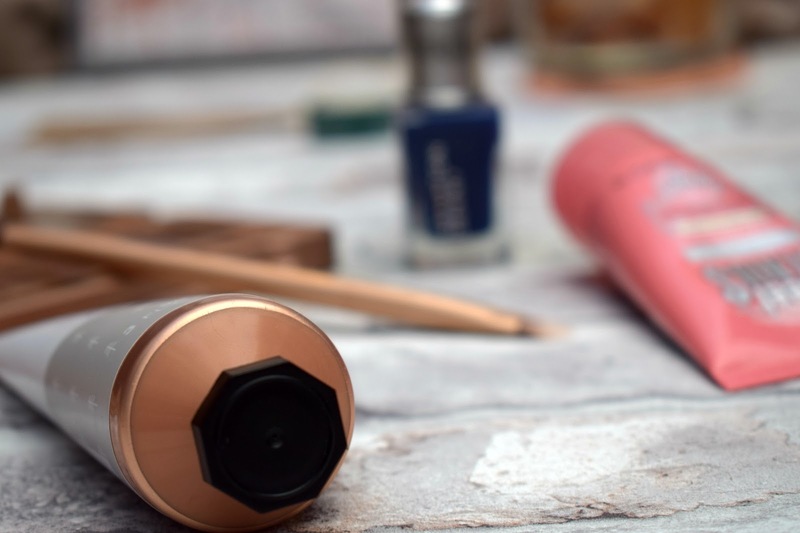 A new Naked palette has wormed its way into my affections this month and that's the Naked 3* I just love the mix of pinky shades with a splattering of gold thrown in, perfect everyday shades for me and right up my street. 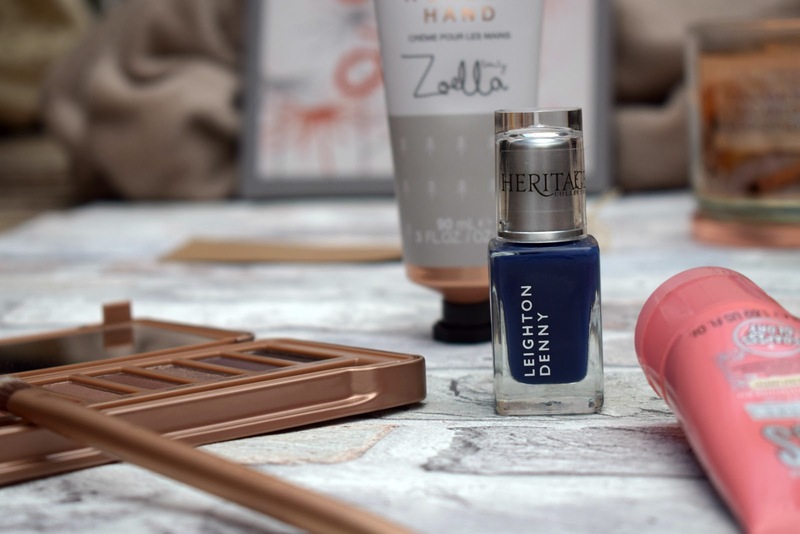 On my nails this month I have been loving this gorgeous polish from Leighton Denny in Country club* a stunning bold navy blue shade, in fact it's been on my toes all holiday, I prefer dark shades on my feet, I just think they always look so nice. 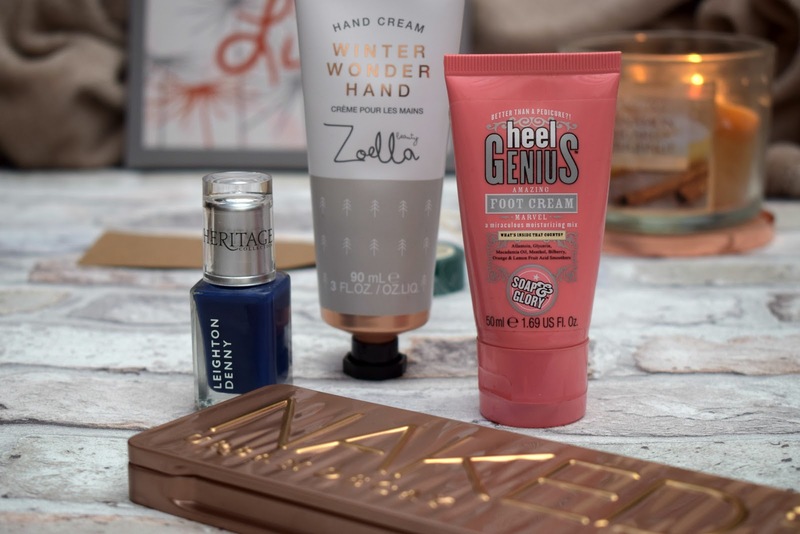 Talking of feet, I prepared my feet for holiday using me new Scholl velvet pedi to really buff them up and remove hard skin, you can catch my review of that here if you like, and after every buffing I have been smothering my tootsies in Soap & Glory's Heel genius cream and my feet have never felt so soft. 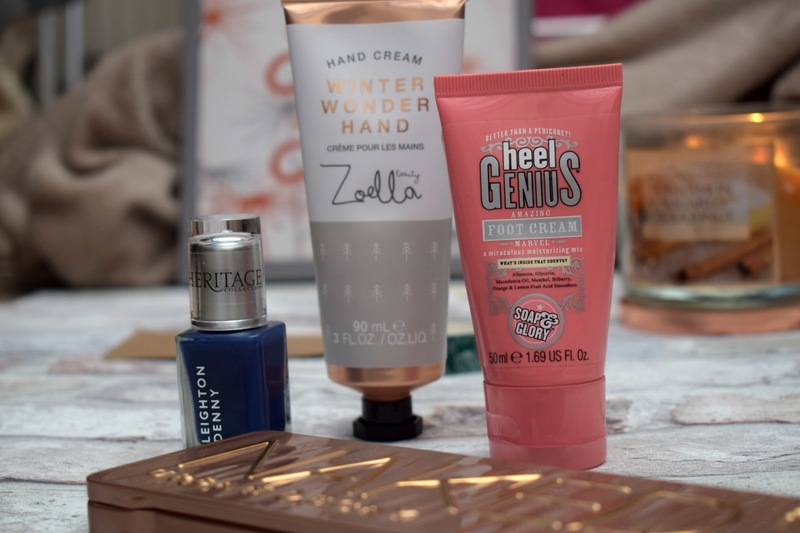 Lastly but by know means least and keeping with the cream theme, but this time for hands, I have been obsessed with Zoella beauty, Winter wonder hand, hand cream, last year I loved the gingerbread one and I love this years offering as much, the cream smells lovely and is amazing quality I really rate her hand creams.